In order to survive you must adapt and evolve. As the need for land-based fish farms and research centres grows, so does the need to advance the design and efficiency of such facilities and reduce operating costs to enhance long-term feasibility. In order to do this, new technological advances must be tested before they are implemented in a recirculating aquaculture system (RAS), which makes having an R&D Centre essential. Moreover, the newer facilities need to see tangible benefits from these recent advances; the more you build, the more efficient and lower the operating costs should be. Replicating the same design over and over is a recipe for failure. A selection of these new technologies, in combination with those already established, have enabled rapid progress in RAS design in the last few years. The use of micro-dosing of oxygen and ozone using in-system redox and DO probes has allowed for a considerable reduction in the operating costs of these expensive gasses. The implementation of nano-bubble technology (not to be confused with micro-bubble), where super-saturated oxygen remains in the water for longer without degassing, means that not only the injection efficiency of this gas has improved and is elevated beyond maximum saturation, but its secondary effects of partial sterilisation of water (reducing bacteria and pathogens) and lowering its density (thus helping to reduce pumping costs), has added more benefits to the overall operating efficiency. Lastly, the use of ozonated protein skimming in both sea and freshwater, cannot be underestimated. Now with more than 140 employees, with each one a specialist in his or her domain, Leiber has a well-proven team in a company following a clear strategy for more than 50 years: working with values. “What makes us unique? We focus on what we know best. Yeast. Production on the highest level of quality. Latest technology. New findings from science and research. The performance of a team of specialists. This is what defines Leiber´s strategic orientation. This is what makes us truly entrepreneurial”, as explained on the Leiber website. “The markets´ requirements are changing - we are able to follow. This is how we became one of the leading manufacturers of specialised yeast products”. When it comes to working with offshore or freshwater (river/pond/dam) cage systems, it's crucial to analyse and log the levels of oxygen and temperature in order to have a strong emergency plan, a good FCR, risk free transport and a healthy stock. The measurement when it's performed manually may not be as efficient and correct for several reasons such as lack of staff, high workload, calibration defects, harsh weather conditions or cable length of the appliance. • In cage facilities without barge, if the distance of the measured cages to the land is less than 400 meters and if there is an office with Internet connection on land, the same system can be used. We use a system with a direct transmission module in facilities where the cages are located at a distance of 400-metres and where there is no barge. In these types of installations, the fact that they can be connected to the Internet via a mobile phone on those cages to be measured indicates that there is enough signal for data flow. Measurements made in cage five minutes to the central server over the data line at intervals. All measurements are recorded on the central server. 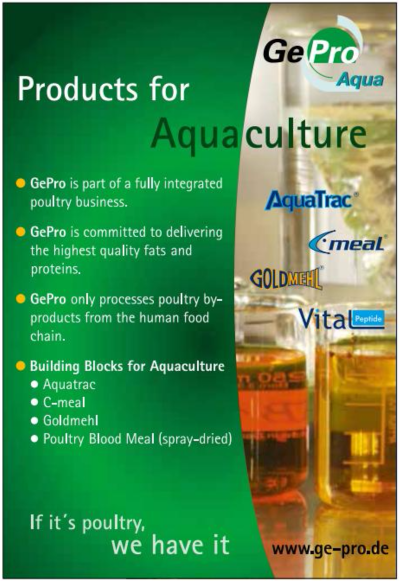 As a member of PHW, GePro is part of a completely integrated poultry production. GePro headquarter is in Diepholz (Germany) with global sales offices located in Bangkok (Kingdom of Thailand) and Moscow (Russian Federation). With the state of the art production systems, our products are of extremely high quality and are regarded as benchmarks in the industry. The entire process is under strict veterinarian control leading to consistent flawless quality and great value proposition for our customers. 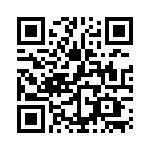 Visit the GePro website, HERE. Dr Richard Murphy, research director at the Alltech European Bioscience Centre in Dunboyne, Ireland, will receive the Alltech Medal of Excellence during ONE: The Alltech Ideas Conference (ONE19) when the event returns to Lexington, Kentucky, May 19–21. Dr Murphy is receiving the award for his pioneering work in the areas of organic trace element assimilation, microbial enzyme technology and the mitigation of antimicrobial resistance in livestock production. The Alltech Medal of Excellence is Alltech's highest distinction and is awarded annually to someone of great character and achievement. Dr Murphy's nearly 20-year career with Alltech began when he received his Ph.D. from the National University of Ireland, Galway after Alltech awarded him a research scholarship. He was under the tutelage of Dr Ronan Power, who is now vice president of Alltech Life Sciences, at the company's original Alltech European Bioscience Centre, which Dr Murphy has now led for 17 years. His research has provided the basis for a revolution in animal nutrition, including several exciting developments in the industry. These include: the application of organic trace minerals and their potential to positively impact feed quality and decrease feed costs; the optimisation of solid state fermentation systems by utilising microbial enzyme production, opening opportunities for new supplementation approaches; and a better understanding of the microbial factors that influence gut health, which has been integral to the development of novel strategies for mitigating antimicrobial-resistant bacteria. The Alltech Medal of Excellence is awarded each year during the opening session of ONE. Previous recipients include the late Dr Pearse Lyons, founder of Alltech; George Blankenship, former executive at Tesla Motors, Apple Computer and GAP Inc.; former US Secretary of State Colin Powell; John Calipari, men's basketball coach at the University of Kentucky; and Alan Mulally, former CEO of Ford. 'I would also like to acknowledge the late Dr Pearse Lyons as absolutely instrumental in helping me achieve my ambitions and encouraging in me the scientific curiosity that he himself was known for and shared with us all,' he continued. During ONE19, Dr Murphy will take the conference mainstage to speak about our understanding of the microbiome, how it functions and how we can better support it, which will have major implications for animal agriculture and for human health. Alltech's flagship conference, now in its 35th year, is attended annually by nearly 4,000 people from over 70 countries who gather to dream bigger and explore solutions to improve their businesses and the world around them. Ramez Naam, co-chair of Energy and Environment at Singularity University, will join survival expert Bear Grylls and best-selling business author Chris Zook as a keynote speaker at the conference. Naam, who believes Earth's greatest resource is human innovation, will discuss how technology is driving positive change and what we can do, right now, to get in on the action. Following Tuesday's plenary session, ONE19 attendees will have the unique opportunity to join speakers for dinner as part of the ONE Table Talks. Claim your seat at one of the eight dinners for an interactive discussion on global challenges and opportunities within the food and agribusiness industry. To learn more and register, visit the One Alltech website, HERE. 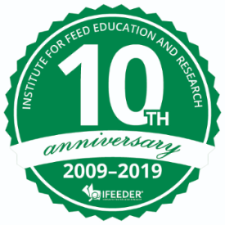 The Institute for Feed Education and Research (IFEEDER) is proud to celebrate a decade of service to the animal food industry, conducting many high-priority research and education projects that protect the animal food industry's license to operate and provide scientific-based information to decision makers and consumers so they can make informed policy and purchasing decisions. • awarded scholarships to students pursuing careers in the animal food industry. Learn more about some of IFEEDER's top accomplishments on the ifeeder website, HERE. 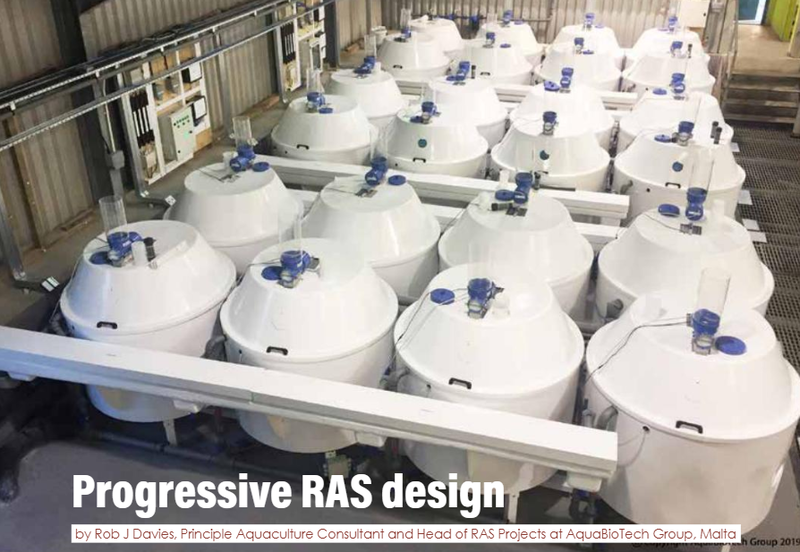 International Aquafeed and Fish Farming Technology Magazine is currently running a six-part article on the DIVERSIFY Project. DIVERSIFY was a five-year, 1.8 million Euro research undertaking sponsored by the European Union. The project selected six fin-fish species based upon their economic and biological potential in aquaculture. The study sought to discover the most profitable, healthy, economical, and beneficial product for consumers, fish farmers, and everyone in-between. The six fish species were: meagre, greater amberjack, halibut, pikeperch, grey mullet, and wreck fish. During the study, our magazine kept in close contact with some of the key researchers. Now, in an exclusive, DIVERSIFY has kindly teamed up with International Aquafeed and Fish Farming Technology Magazine to allow us to share with our readers the results of their research. Starting in our April 2019 issue, we will be focusing on one species per month. April began the series with a focus on meagre. Our May issue will feature halibut and so on for a six-month run. The DIVERSIFY Project was a major study at the cutting edge of aquaculture research and we are proud to be the first magazine to share the results with the world. You can read the first of six article in the International Aquafeed and Fish Farming Technology Magazine online, HERE.